Thad Cochran was born December 7, 1937 in Pontotoc, Mississippi. His parents lived in the Beckham community at that time where his father, William Holmes Cochran, was the principal of the school and his mother, Emma Grace Cochran, was a teacher. They later moved to the Hurricane community in Pontotoc County and then to Tippah County where Thad began school in the town of Walnut. Summers were spent by the family, which included Thad's younger brother, Nielsen, on the campuses at the University of Mississippi, where their parents would earn Masters degrees, and at Blue Mountain College, where they were members of the faculty. In 1946 the Cochrans moved to the Byram community near Jackson. While school always came first, there was much time devoted to sports, music, the Boy Scouts and church activities. Thad became an Eagle Scout and helped establish a new scout troop at Spring Ridge Methodist Church. He served as its first Junior Assistant Scout Master. In high school, Thad earned varsity letters in football, basketball, baseball, and tennis. He gave a piano and voice recital his senior year and was class valedictorian. He was also a member of the 4-H Club and Daniel Memorial Baptist Church. During junior and senior high school, Thad worked in a variety of after school and weekend jobs. His first regular job was at Gunn's Dairy Bar where he was a "car hop." He clerked at Nicholson's Grocery store, cleared right-of-way for Deviney Construction Company, and helped his father and brother on the family's cattle farm near Utica. In 1955 Thad enrolled in the school of liberal arts at the University of Mississippi. He earned a B.A. degree at Ole Miss, with a major in psychology and a minor in political science. He was elected President of his social fraternity, Pi Kappa Alpha, was a company commander in the Navy ROTC, Head Cheerleader, Vice President of the Student Body, and was selected for membership in Omicron Delta Kappa, national honorary leadership fraternity. During the summers he worked as a life guard at Livingston Lake in Jackson. When he graduated from Ole Miss in 1959, he was commissioned an Ensign in the U.S. Naval Reserve and assigned to duty aboard a heavy cruiser, the USS MACON, which was homeported in Boston, Massachusetts. He served on this ship for 18 months becoming the ship's legal officer after graduating as an honor student from the U.S. Navy School of Justice in Newport, Rhode Island. He also became qualified as Officer of the Deck, in port and underway. On June 6, 1964 he was married at the First Methodist Church in New Albany, Mississippi to Rose Clayton, who had graduated from the University of Mississippi in 1963. The Presidential campaign of 1968 marked the first time he became involved in a political campaign for a Republican candidate when he served as Executive Director of Mississippi Citizens for Nixon-Agnew. 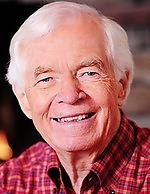 Four years later, Thad Cochran was elected United States Congressman for the Fourth District which included twelve counties in southwest Mississippi. After winning re-election to the House in 1974, he was elected by his colleagues to represent the southern states on the House Republican Policy Committee. He was re-elected to the House of Representatives again in 1976. In both of his races for re-election, Cochran received over 70 percent of the votes. US Secretary of Education - Mar 14, 2016 D John B. King, Jr.
MS District 1 - R Runoff - Apr 01, 2008 R Glenn L. McCullough, Jr.